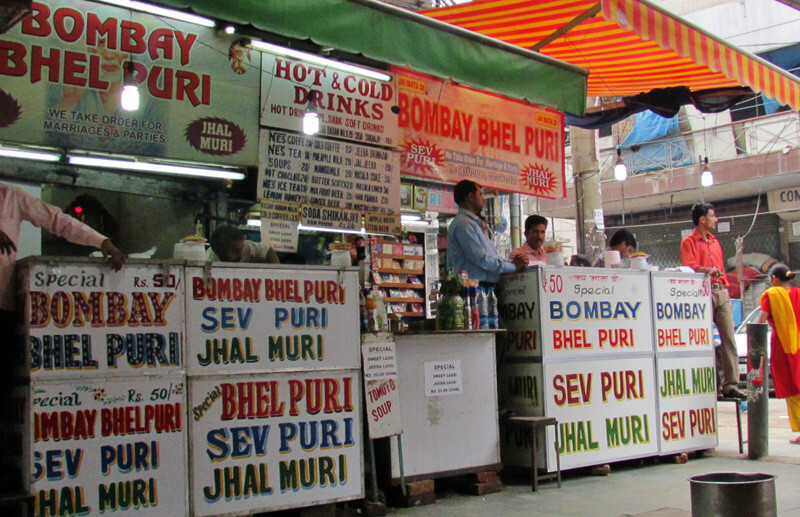 One of the popular places in South Delhi to indulge in some Bhelpuri, Bombay Bhelpuri has been a dish loved by the locals. 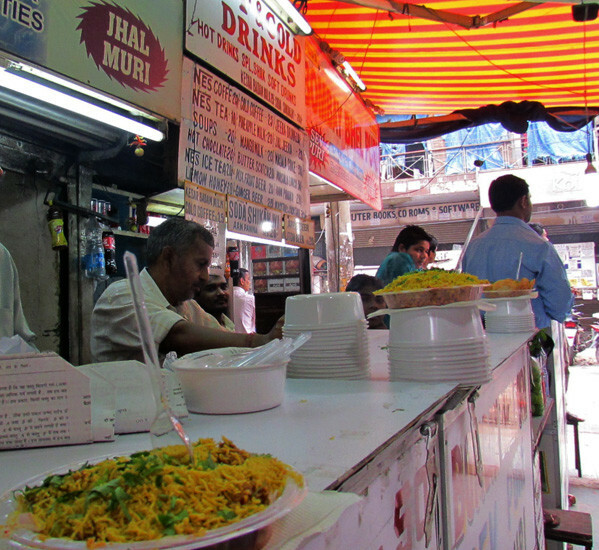 Located in one of the back alleys of the market, you can hear a person calling out “Bhelpuri! Sevpuri!” inviting you to come try their famous offerings. It seems like The Bombay Bhelpuri stall has one person appointed just for this task and is quite successful in getting a hungry passer-by’s attention. Apart from us, quite a few others slowed their pace and eventually stopped for a quick snack. It may be confusing as to which stall it is since there are a couple of others with the same name in South Ex! This is the one in the Part I market, right next to McDonald&apos;s and Midland Bookstore. The famous Bengali Sweet Centre can also be found on the same lane. 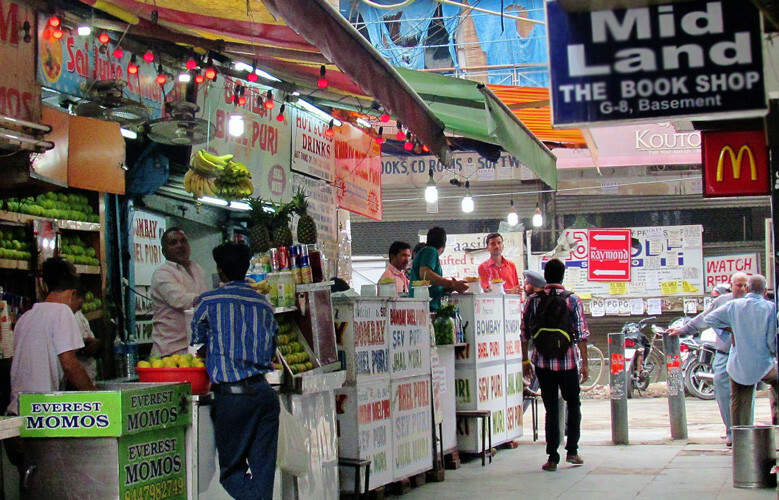 Several stalls adjacent to it sell Momos, Sweet Corn, hot & cold drinks like Lassi, Iced Tea & Coffee etc. to complete your street food experience! There is no provision for seating so one has to stand and finish their snack or occupy the pavement at the McDonald&apos;s side. Their menu has three items - Bhelpuri, Sevpuri & Jhal Muri. The first obvious choice was the Bhelpuri. It was served as any bhelpuri lover likes, with lots of sev sprinkled on top and garnished with coriander. It had the right amount of chutney/tamarind sauce, chopped onions and boiled potato bits and was not too tangy or spicy! Those who like added green chillies need to tell them in advance. We personally felt, it would have tasted better if they added some peanuts or more tomato bits in it too. A full plate is priced at Rs 50 but they also give out half plates for Rs 25, which we feel is more than enough for one person, especially if looking to snack. You can also always order half a plate of Bhelpuri and then half of Sevpuri. Next came the Sevpuri which had a slightly different taste to it owing to the incorporation of added flavours and a hint of garlic to it, but was overall equally delicious. Their third selling item, ‘Jhal Muri’ is simply a dry version of a similar snack. The staff is polite, efficient and serve you with a smile. They will have the snack packed in case you&apos;re unable to finish it. The Bhelpuri was not exceptional but definitely had the quintessential taste of authentic Bombay Bhelpuri so for all Bhelpuri lovers who haven’t already been here, what are you waiting for? Head on over!